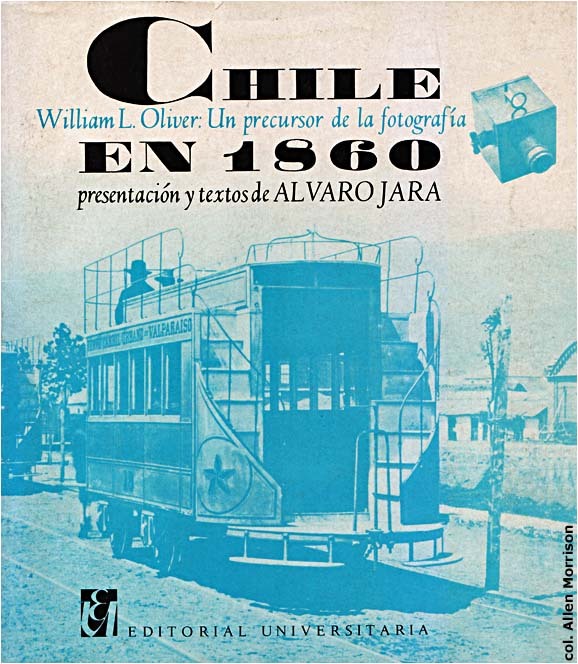 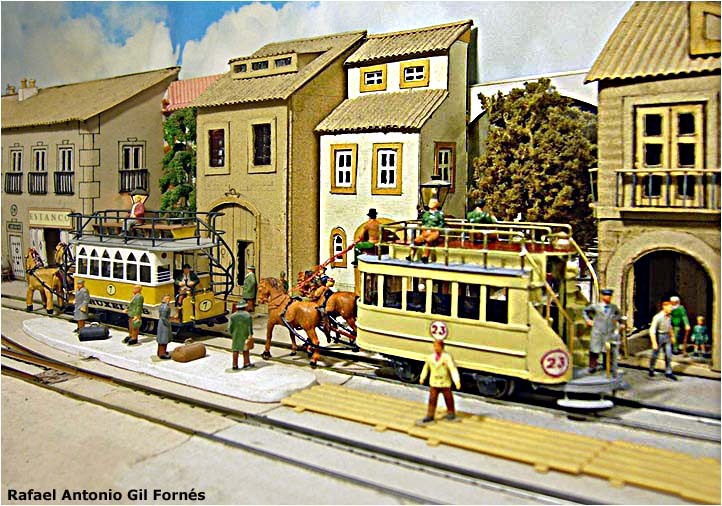 At least 65 towns in Chile had passenger-carrying street railways. 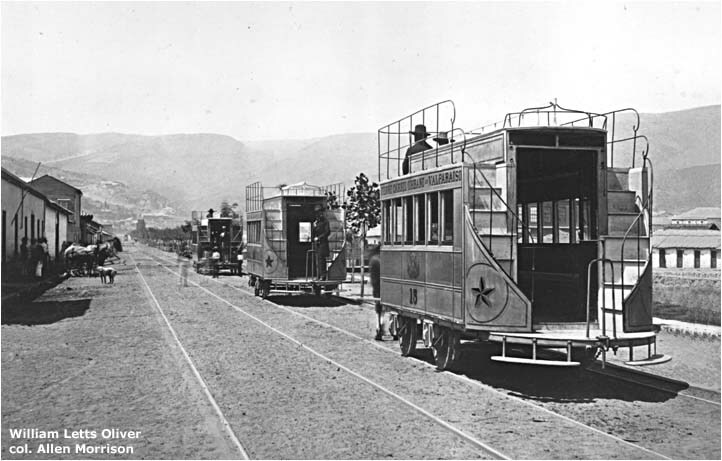 About two thirds of the vehicles that ran on these lines had two floors. 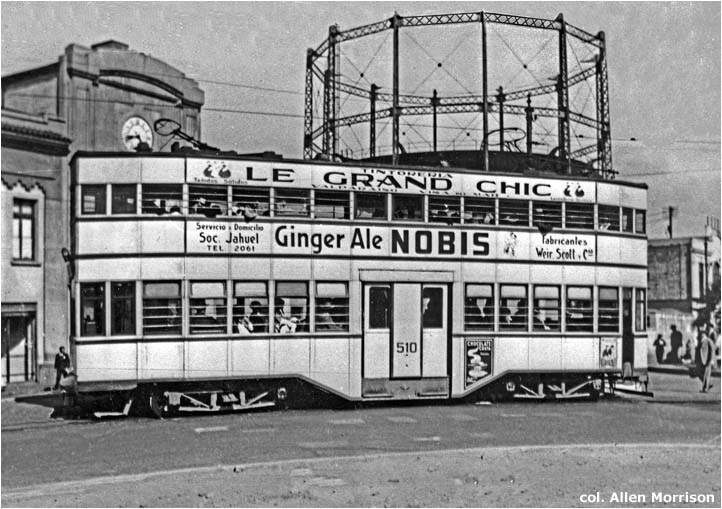 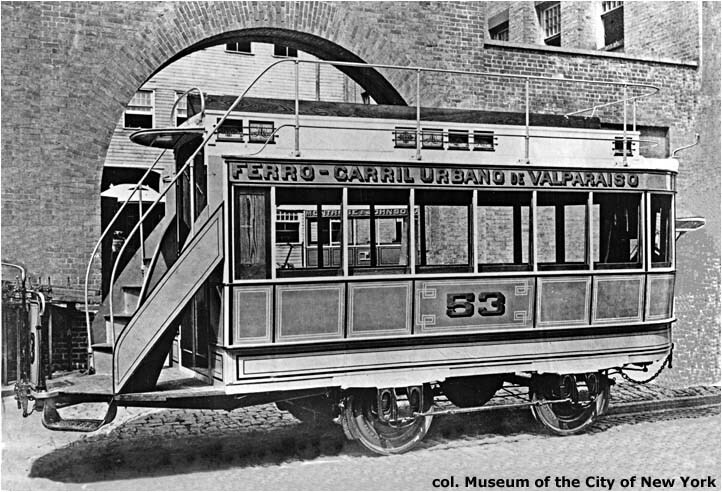 Chile had the largest collection of double-deck trams outside the United Kingdom, and many were models not seen anywhere else. 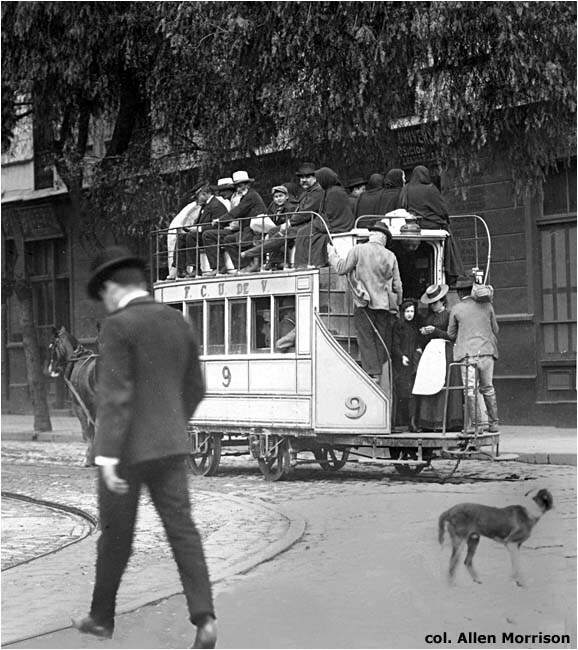 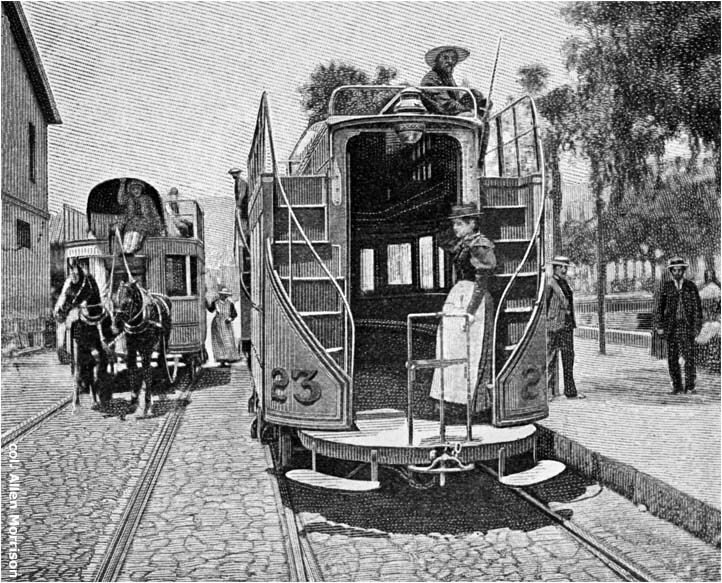 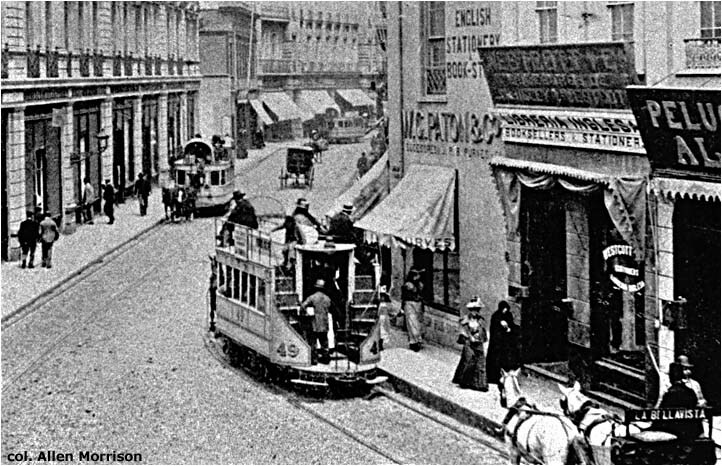 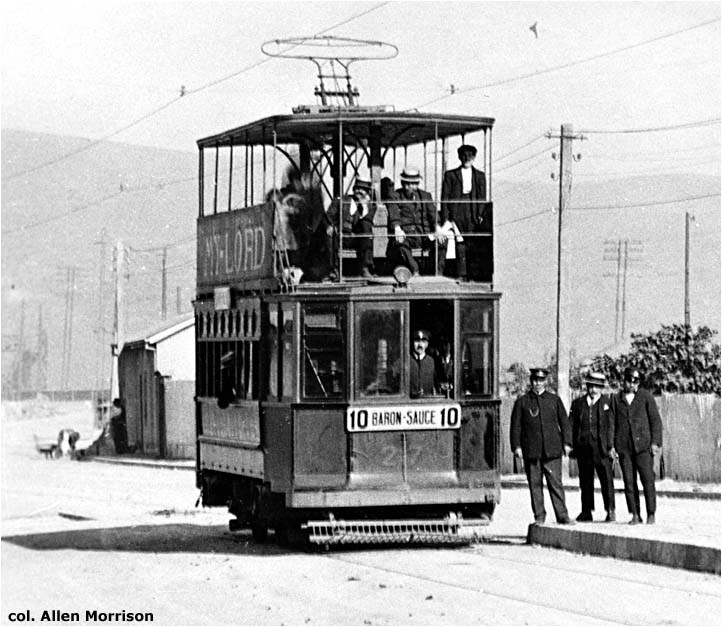 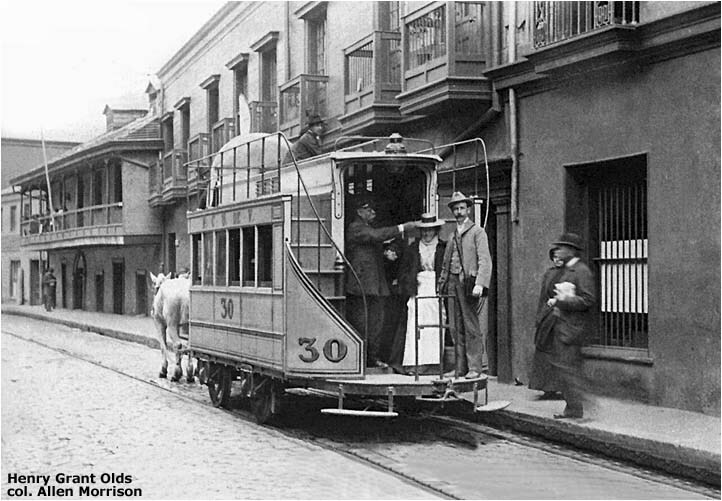 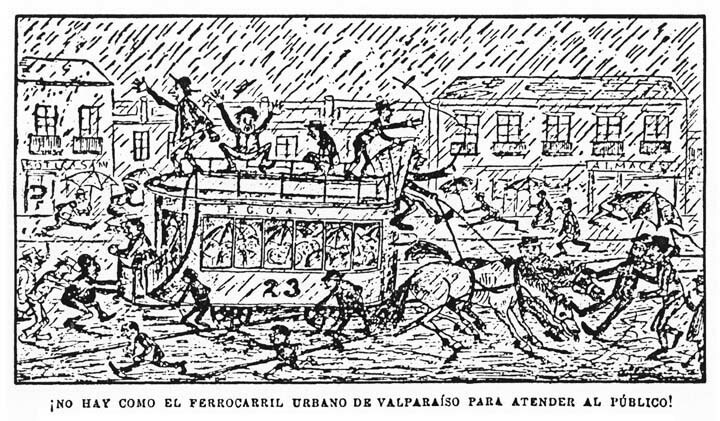 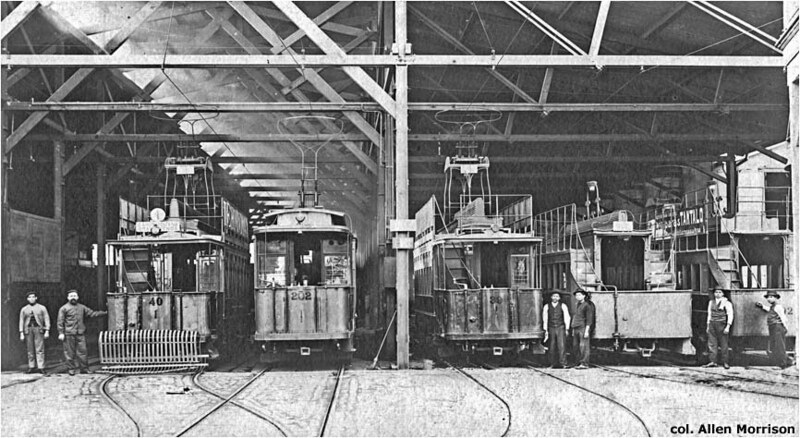 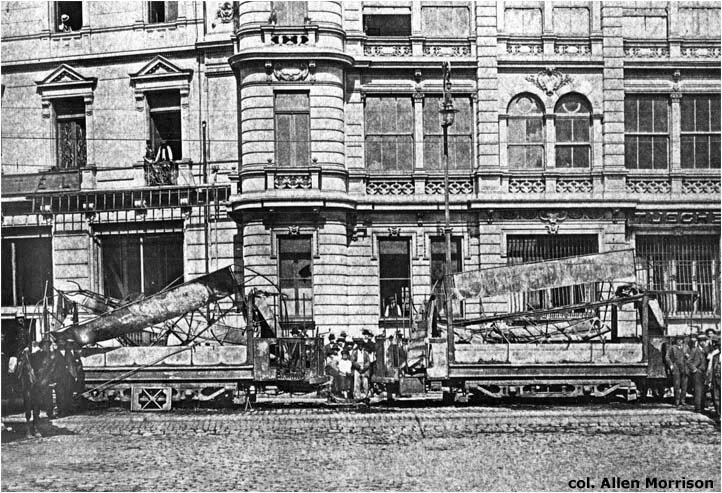 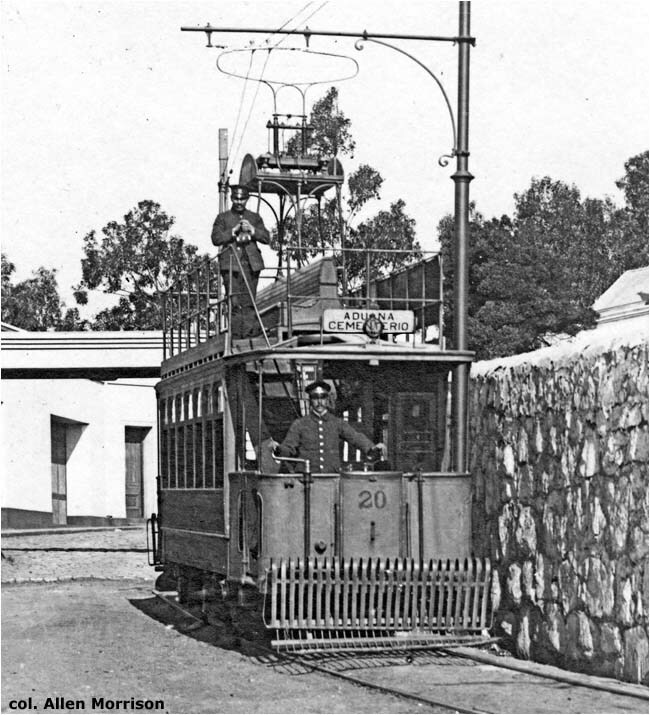 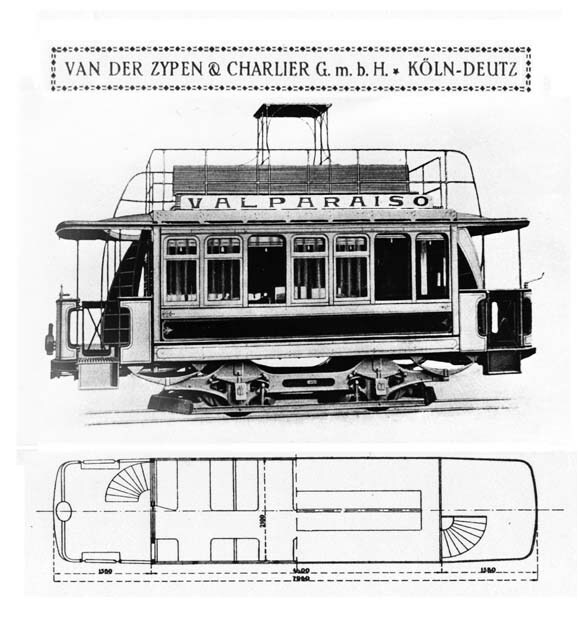 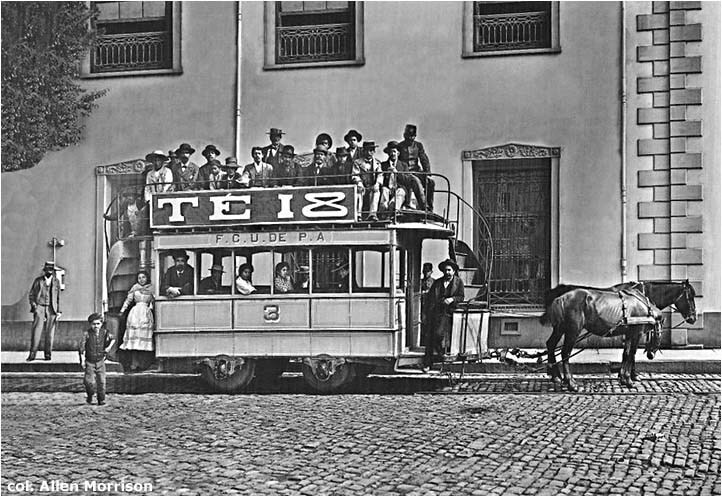 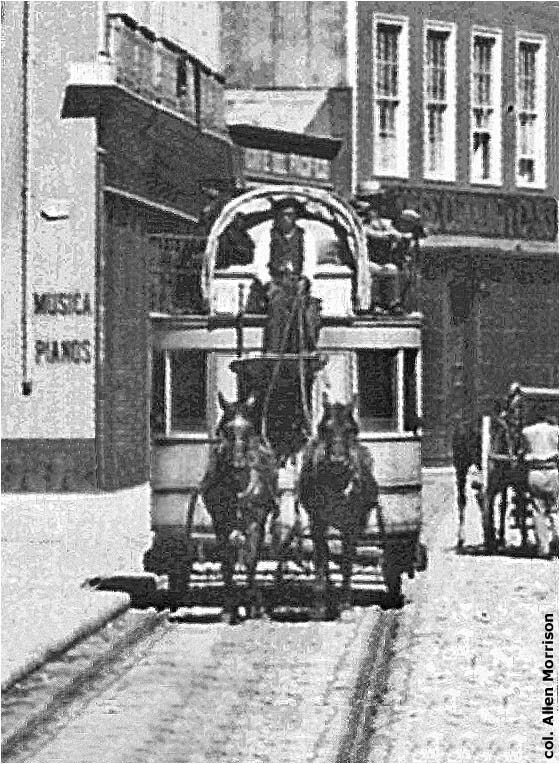 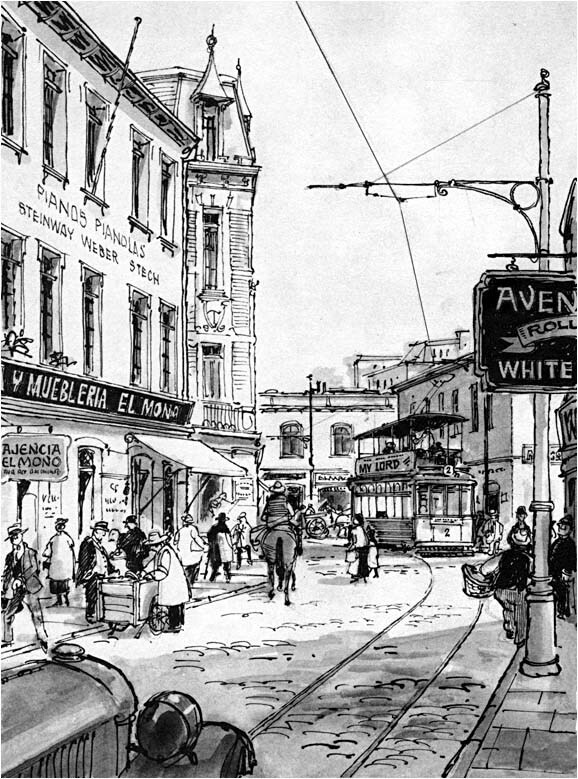 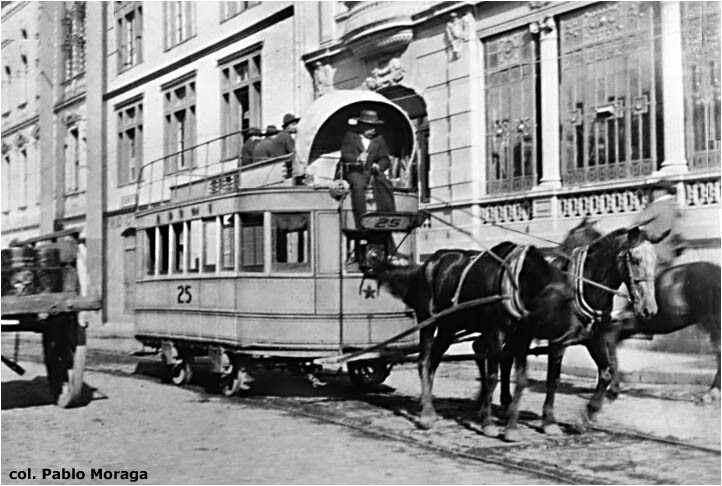 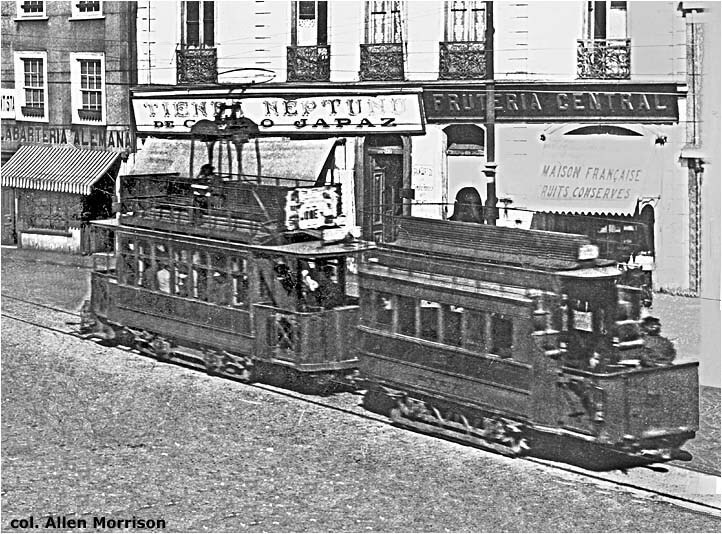 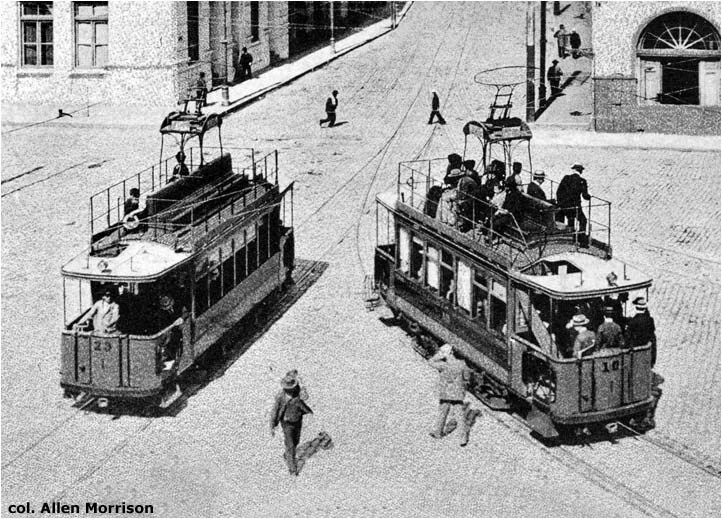 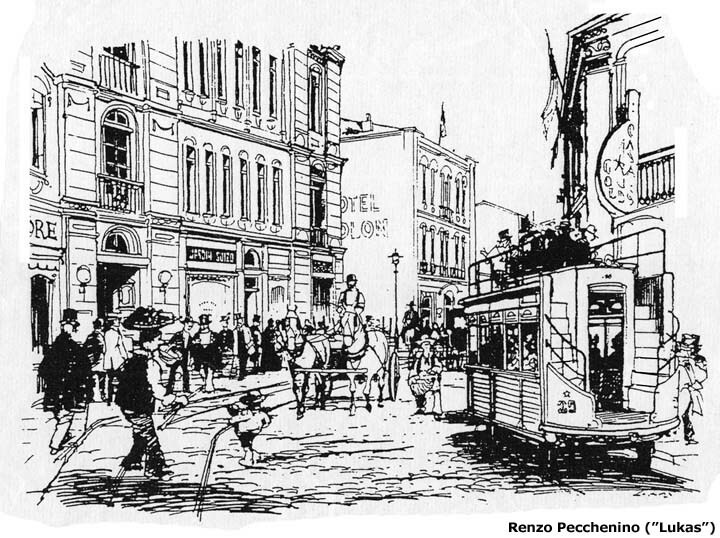 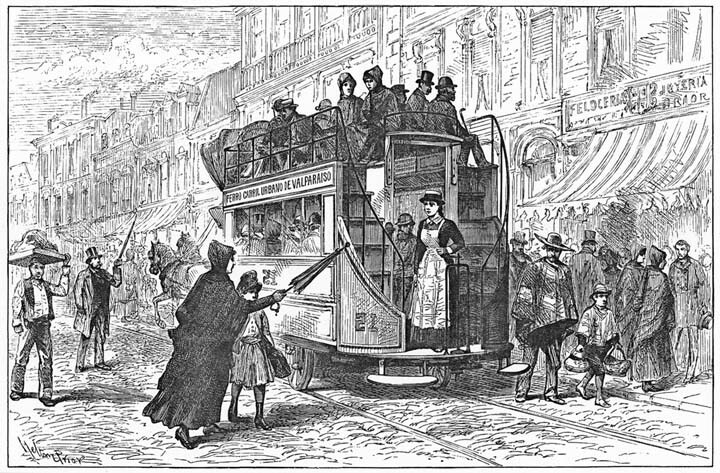 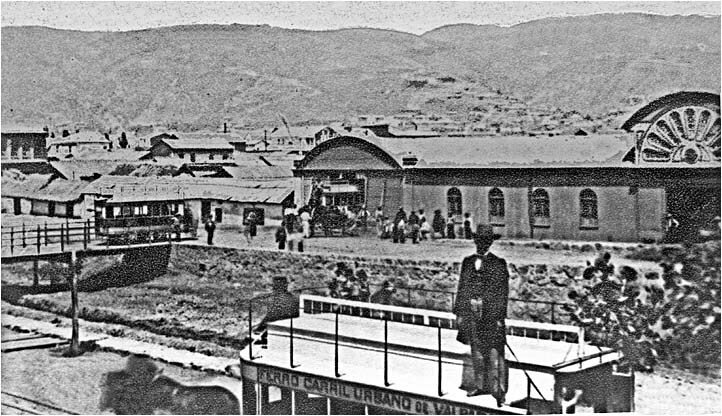 Both the horsetrams that opened the Valparaíso tramway in 1863 and the electric trams that closed it in 1952 were unique. 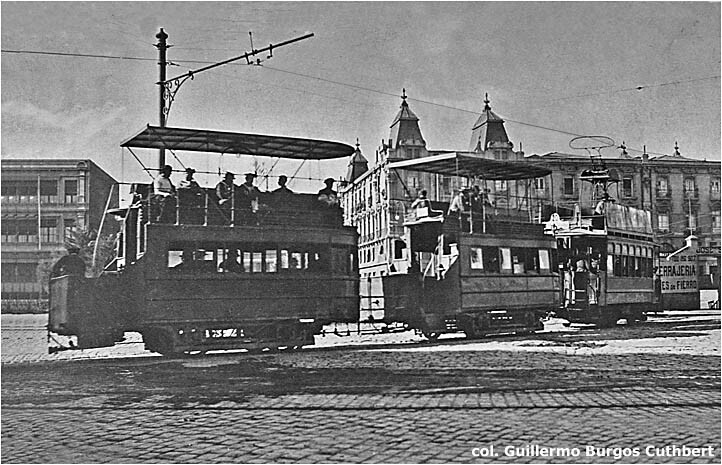 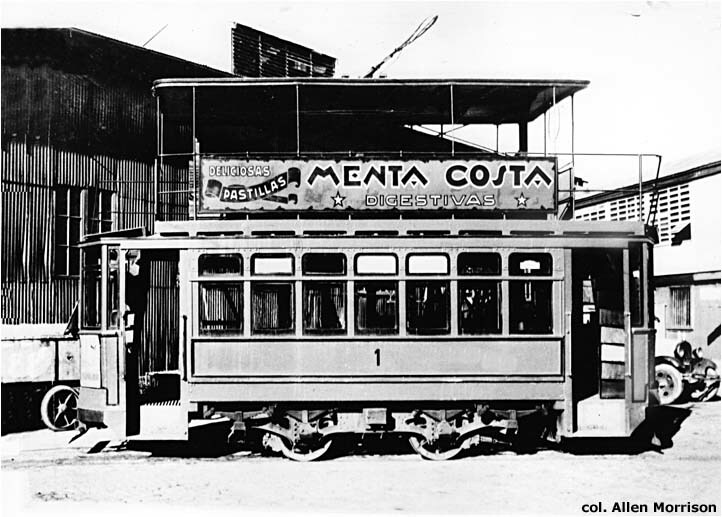 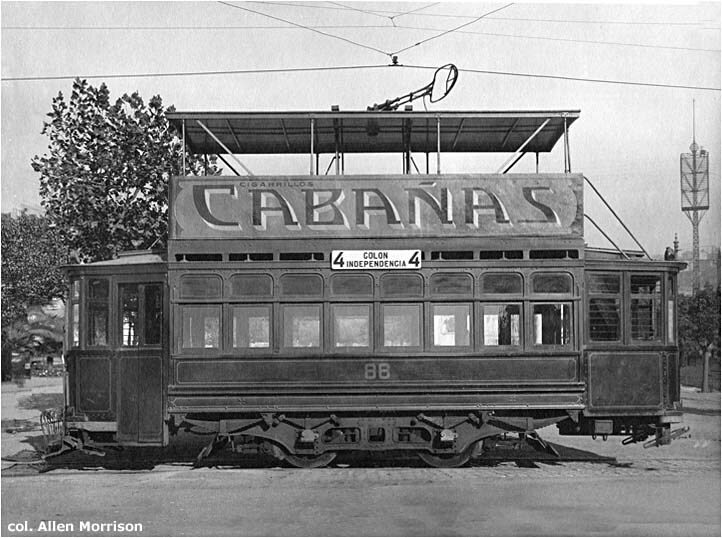 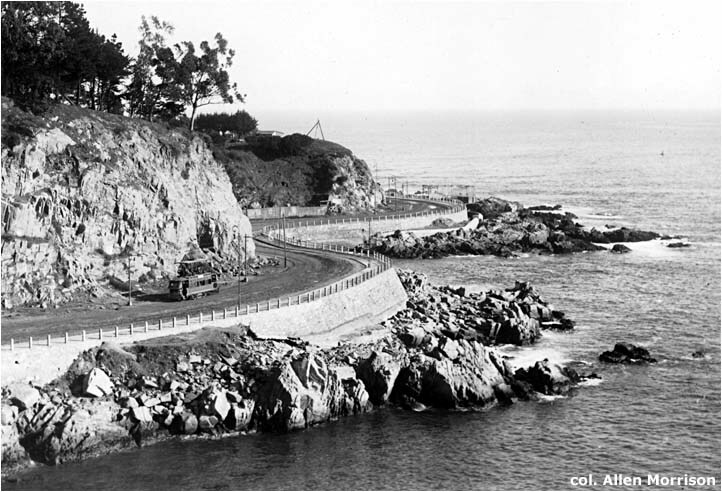 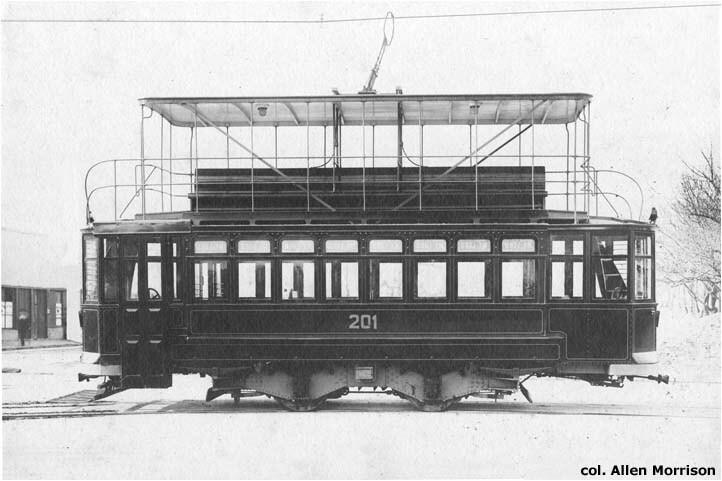 Chile had the only double-deck electric trams built in Germany (none ran in Germany), the only double-deck electric trams built in Belgium (none ran in Belgium), and more double-deck trams built in the United States than ran in the United States. 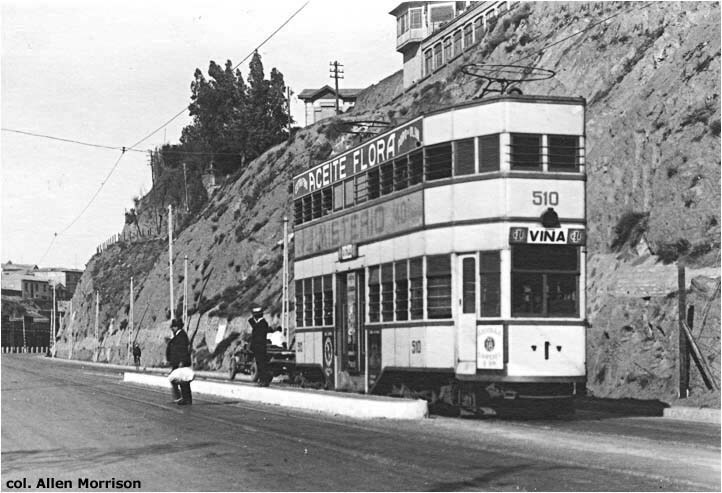 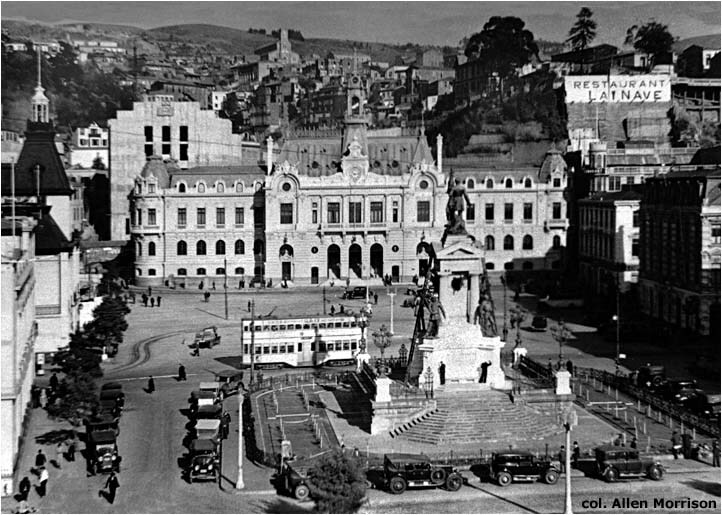 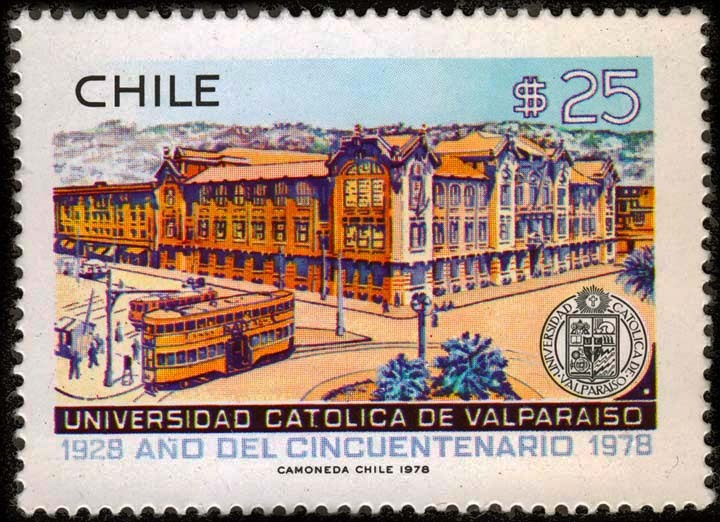 The Compañía de Electricidad de Valparaíso was expropriated by the Chilean government in 1945 and the new state-owned Empresa Nacional de Transportes closed most of the tramway system during the next five years. 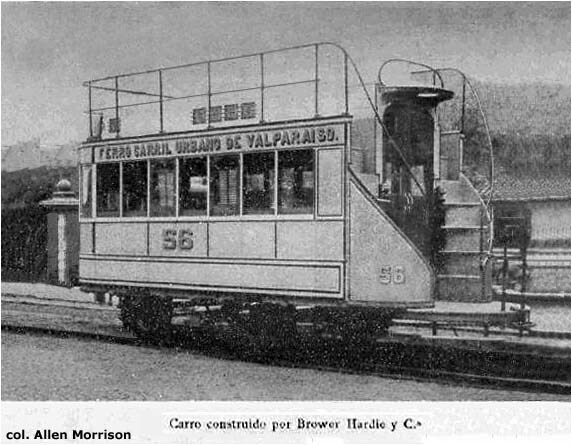 By 1950 only a single route remained – between Aduana and Barón – just as tramway service had begun a century before [see map]! 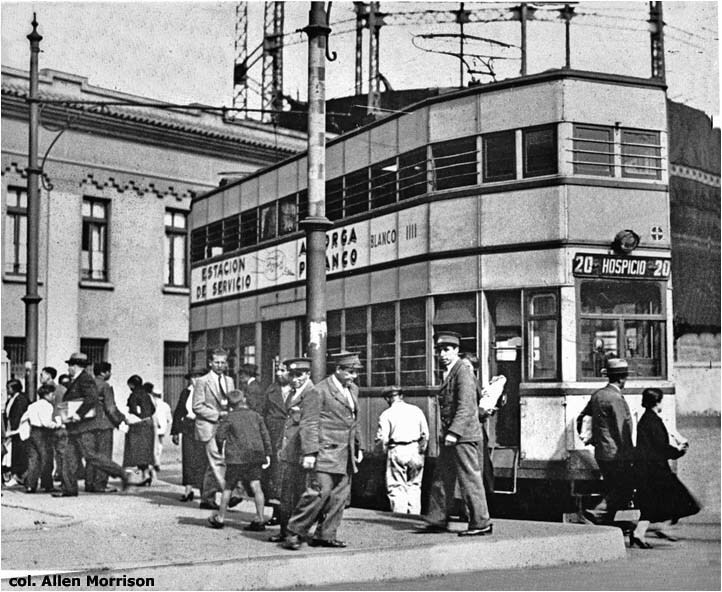 Rail operation ended completely on Tuesday night 30 December 1952. 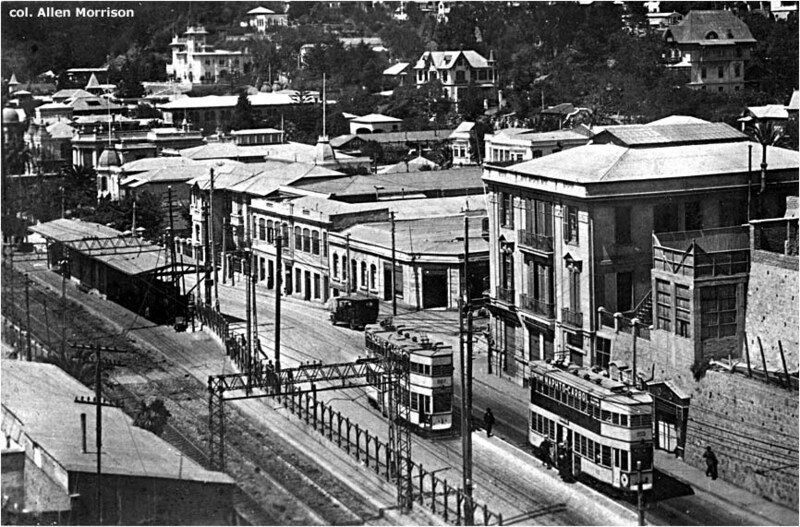 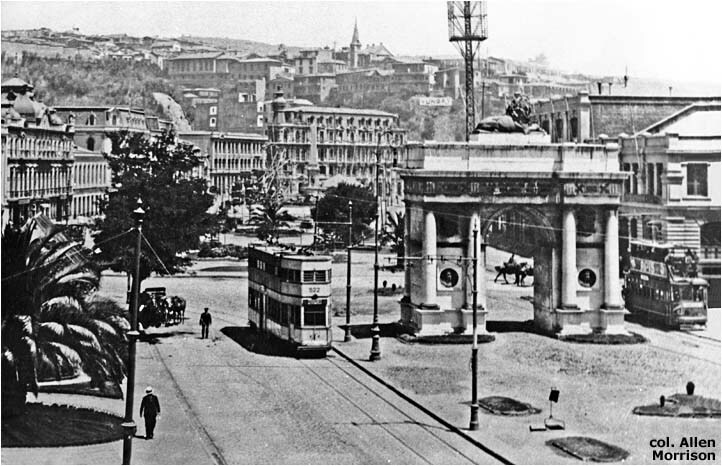 Thirty new (single-deck) Pullman trolleybuses took over the next day.